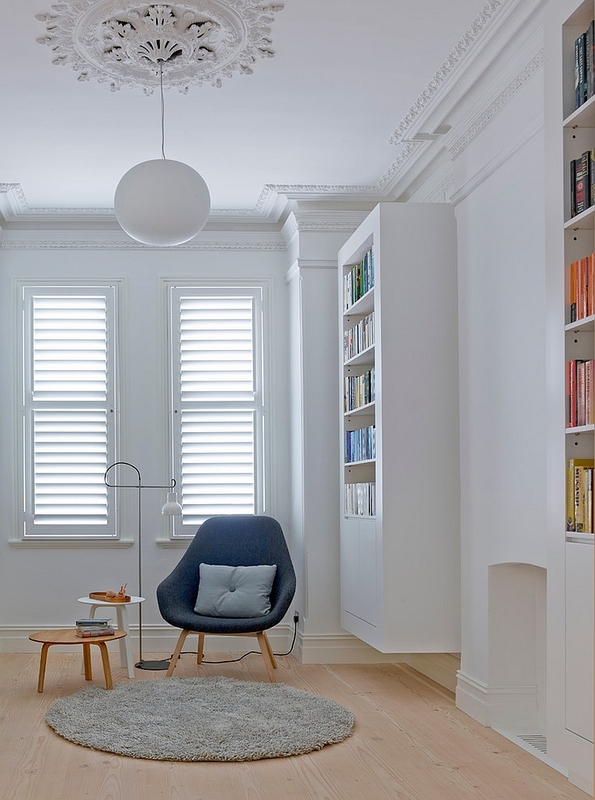 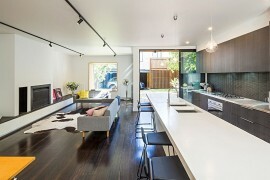 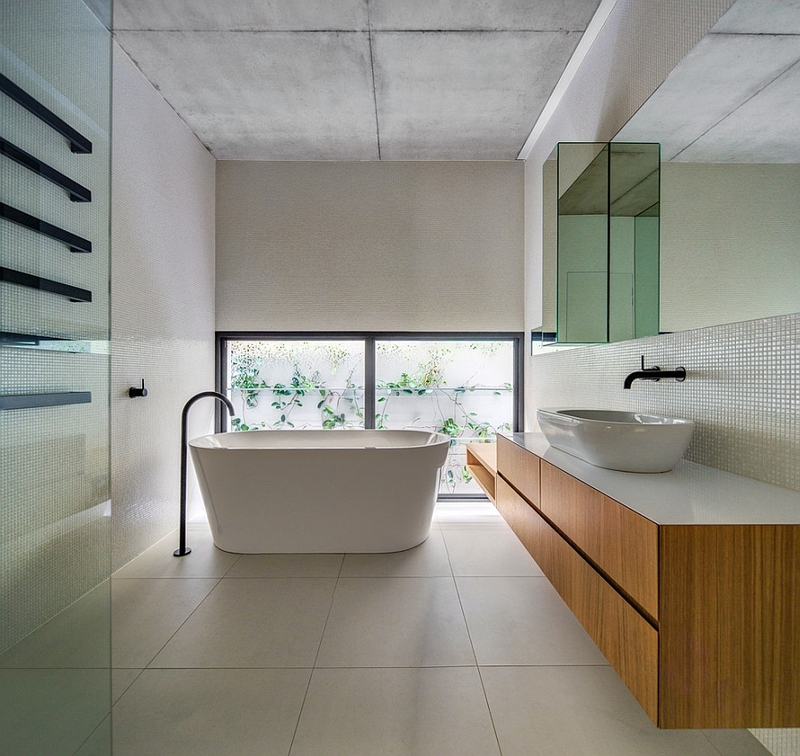 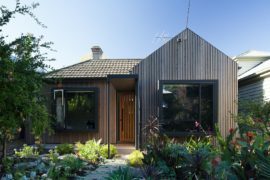 When it comes to the classic Victorian-era homes in Melbourne and the surrounding suburbs, many homeowners are opting for modern renovations that bring together the best of both worlds. 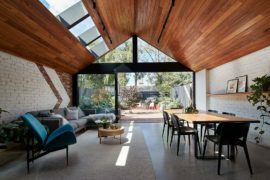 The gorgeous Glebe House by Nobbs Radford Architects is one such product that blends old world charm with contemporary style and elegance. 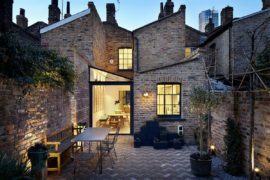 This lovely Victorian-era cottage was revamped to serve the needs of an urban family, and a new extension gives it a posh, refined appeal. 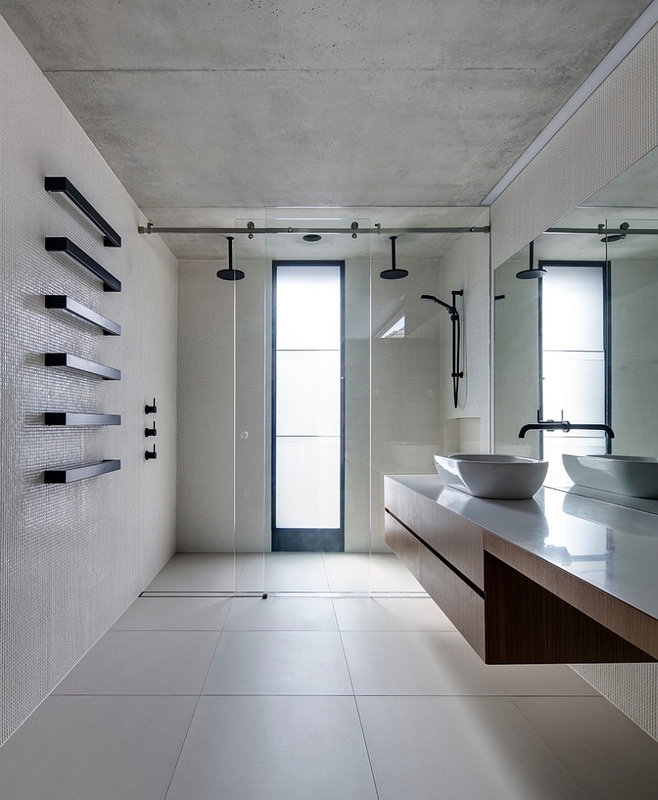 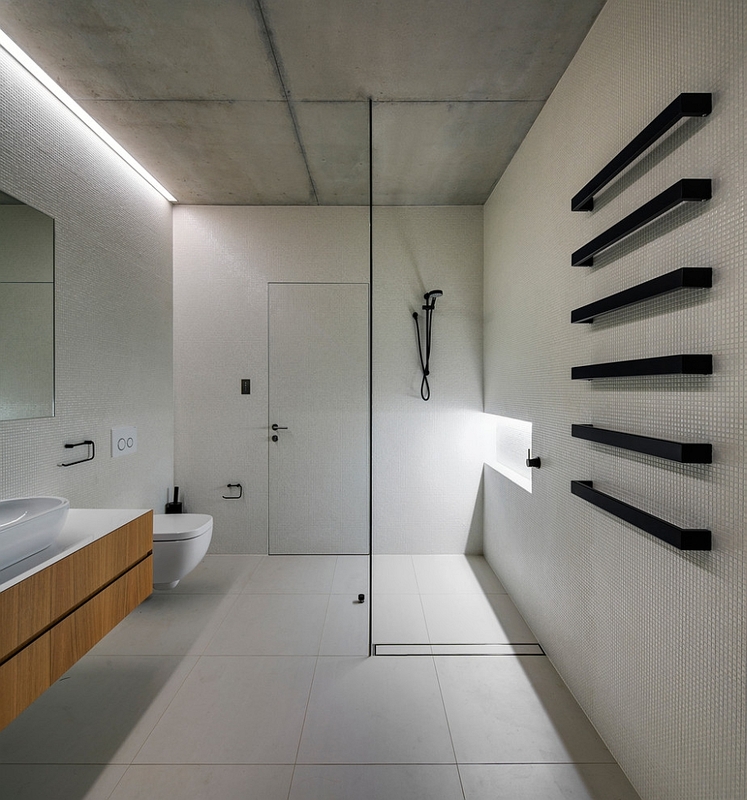 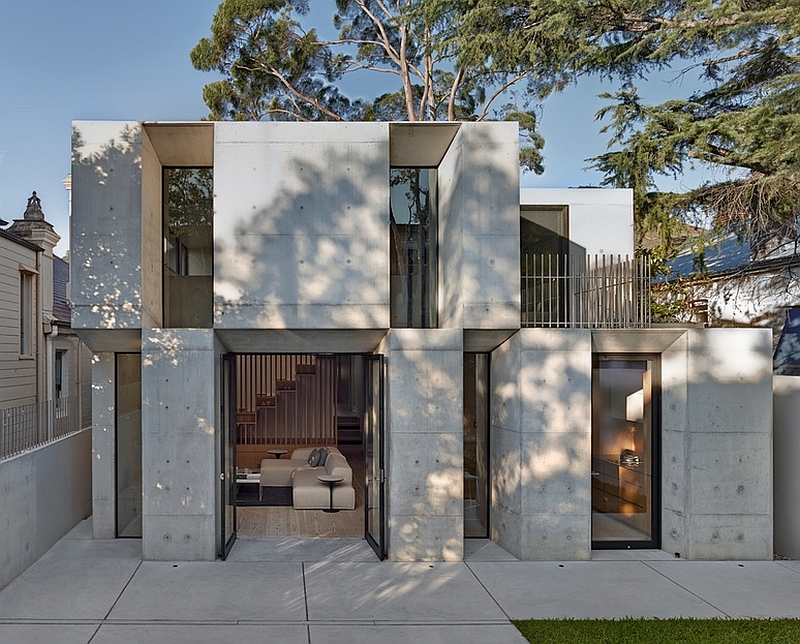 Instead of the usual glass and steel framework that is used in many such projects, the architects turned toward the raw appeal of concrete here! 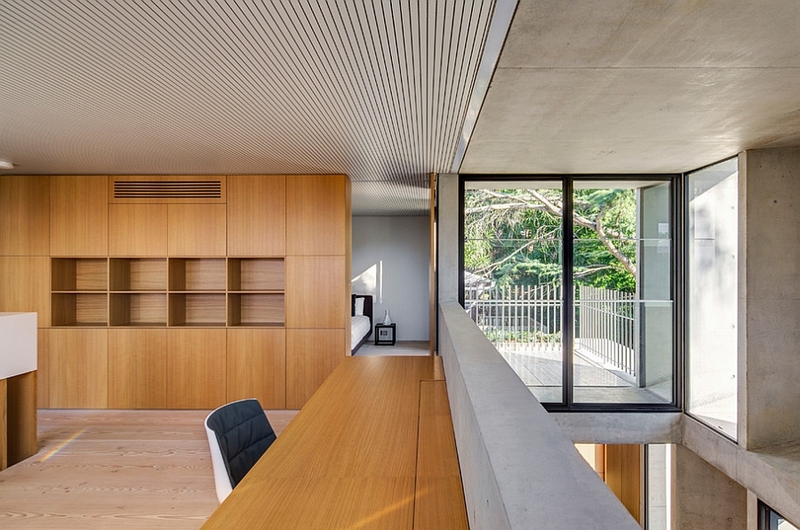 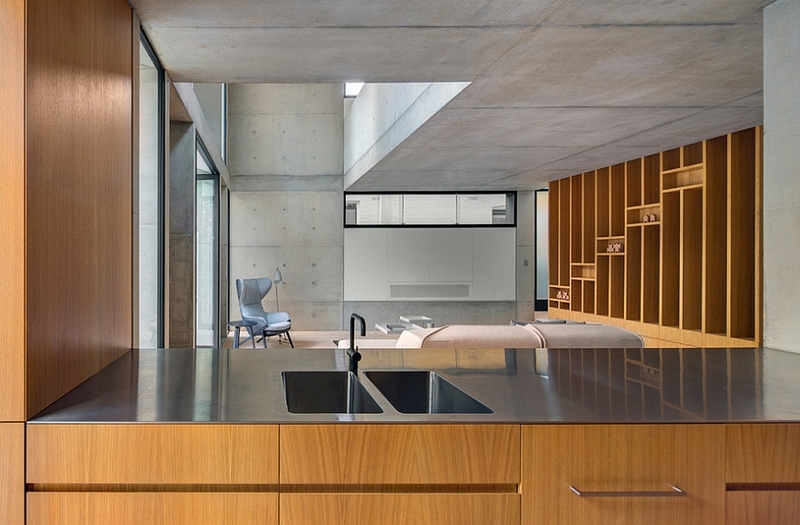 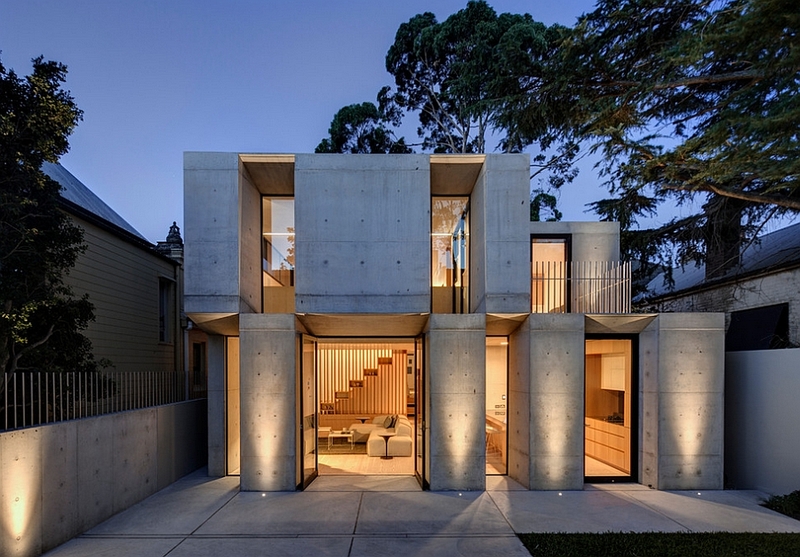 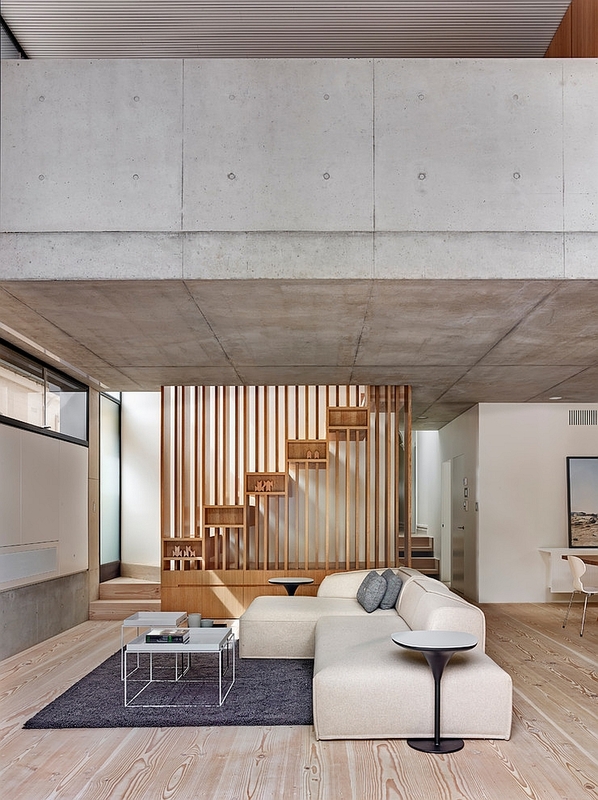 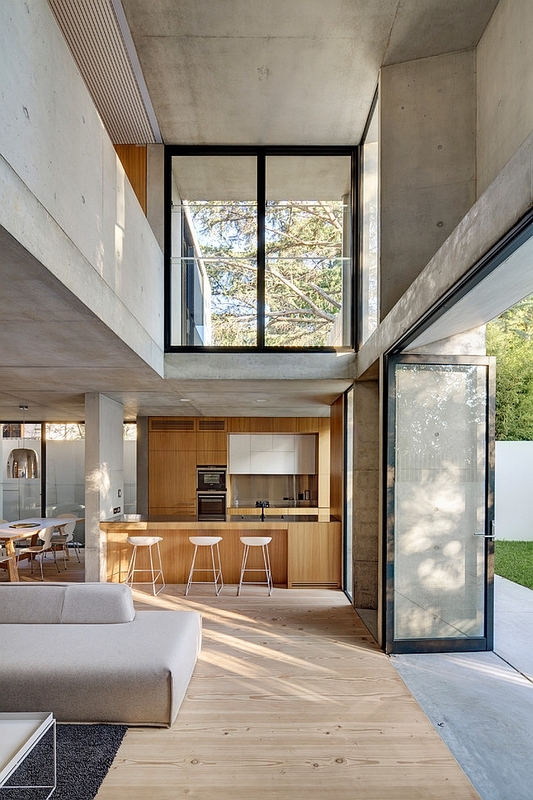 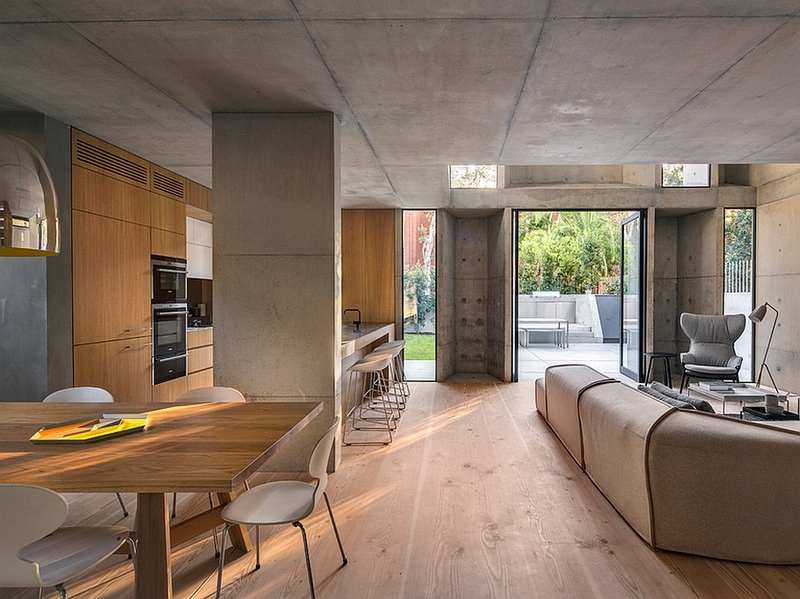 Architects from Nobbs Radford chose concrete, as they felt that its raw appeal was more in tune with the original façade of the house. 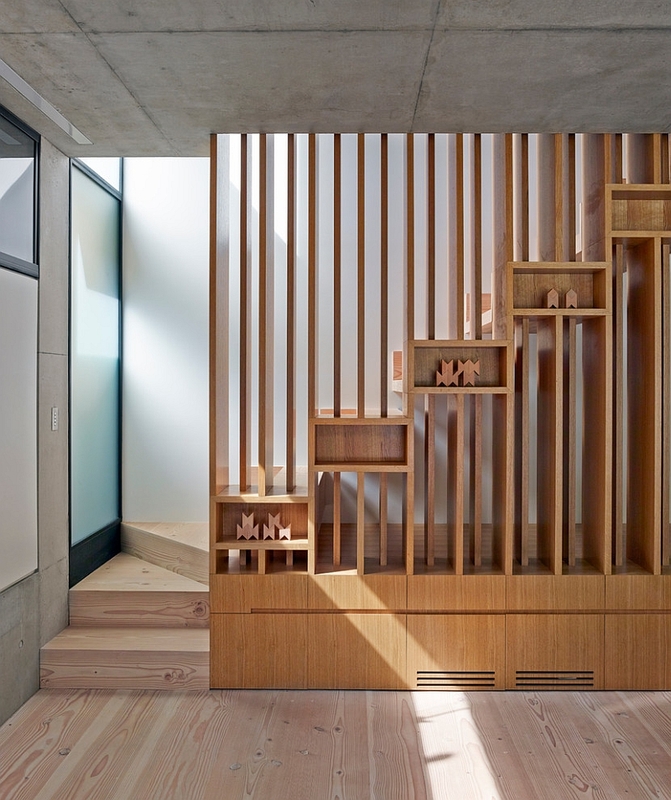 The vertical openings of the extension are crafted to match the existing style of the house, while warm wooden tones and a neutral color palette grace the home indoors. 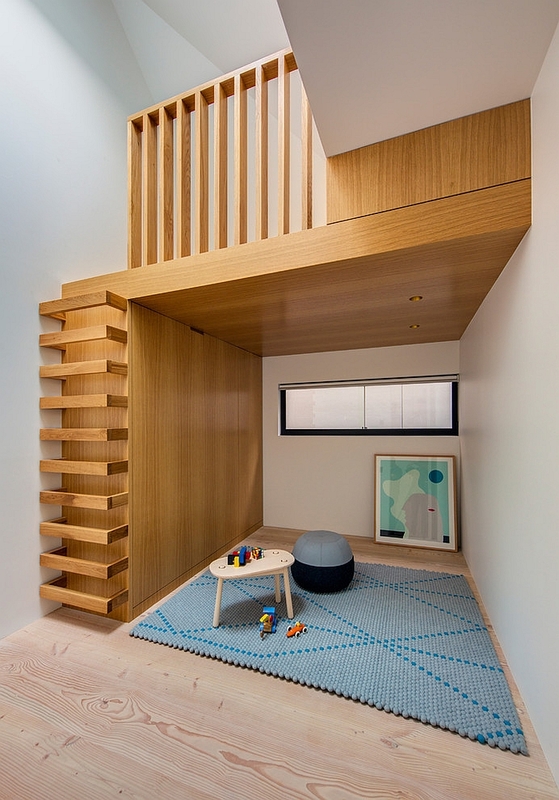 There is no exaggerated importance placed on indoor-outdoor interplay, and the beautiful makeover makes the most of available space. 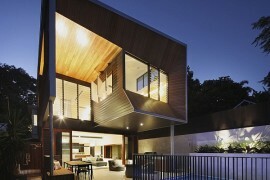 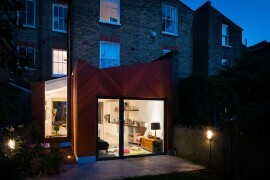 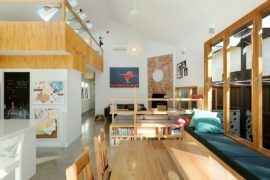 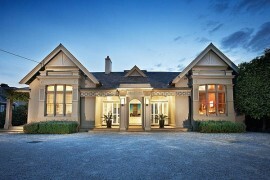 The new addition to the cottage also serves as a standalone structure with its own unique style and ambiance. 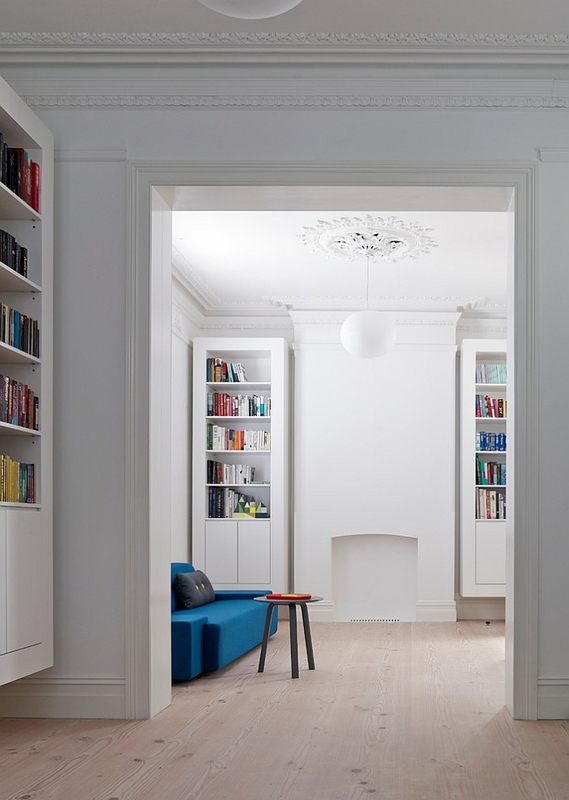 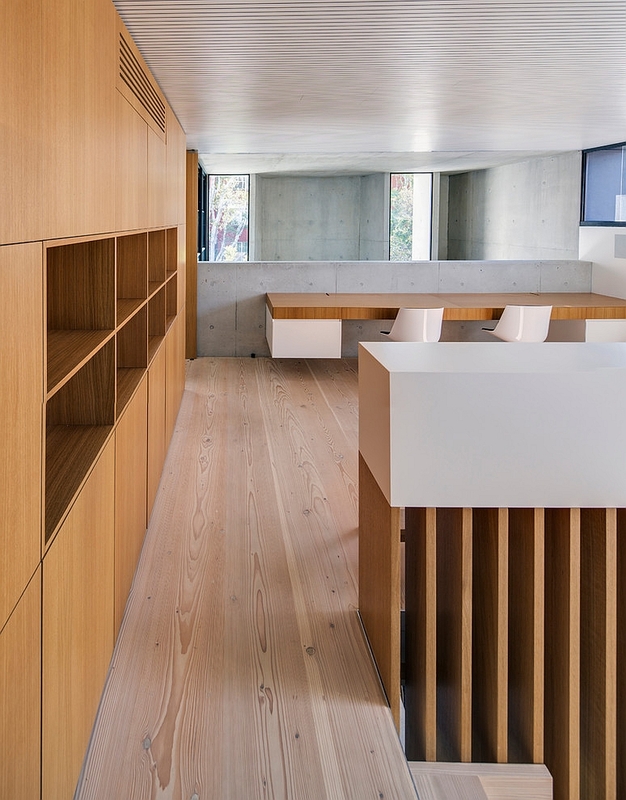 Each room was carefully crafted to ensure that one space flows into the next and the transition is organic. 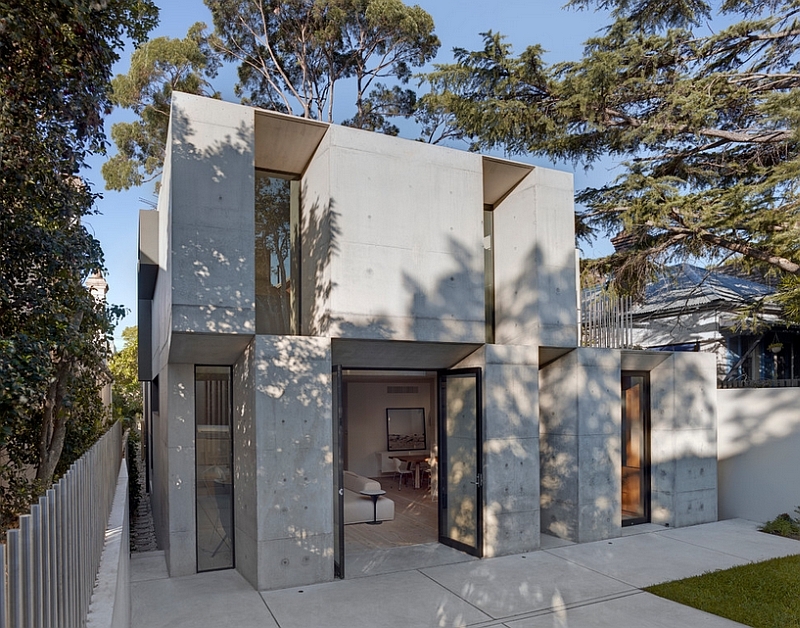 Concrete gives the home a tinge of sustainability by keeping the house cool in summers, and it also offers durability. 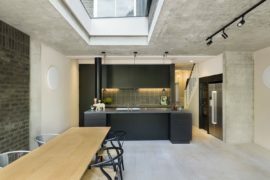 The decor is kept largely simple with very few pops of bright color, while clean, straight lines usher in contemporary charm. 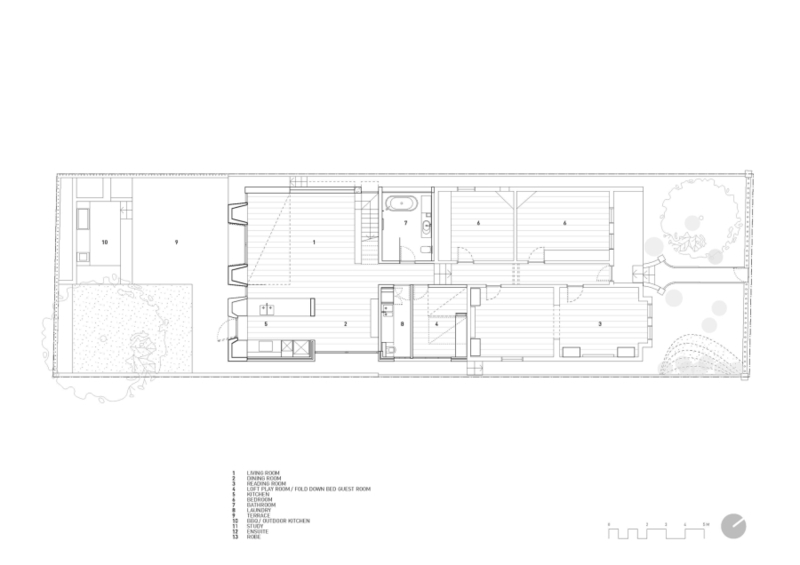 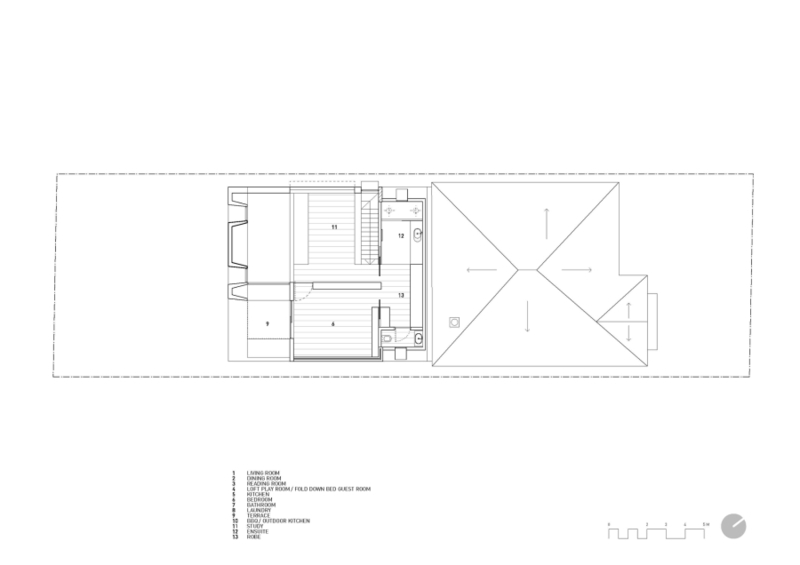 The lower level of the house contains the living room, kitchen, dining area, laundry room, a playroom that doubles as guest room, and a couple of bedrooms along with a bathroom. 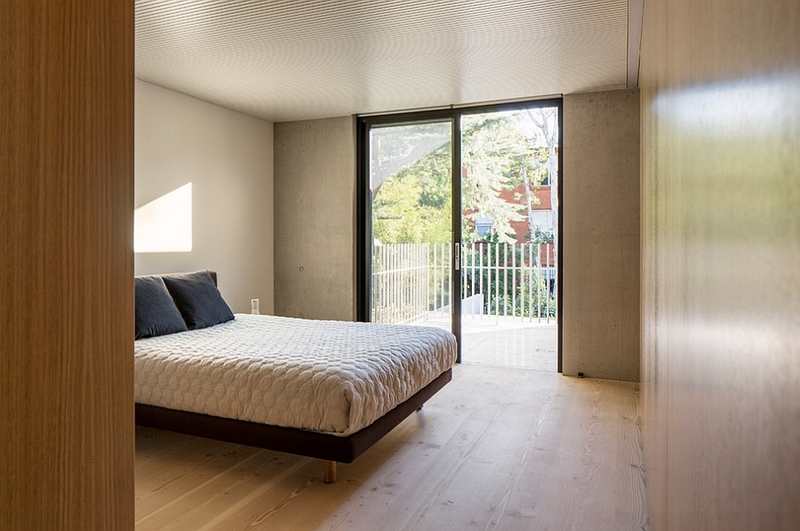 The top level is complete with a master bedroom, walk-in closet, study and an expansive terrace area.